Nintendo once again played it safe and presented a pre-recorded Direct at this year’s E3. In-between the revamped final smashes and tweaked character designs in Super Smash Bros. 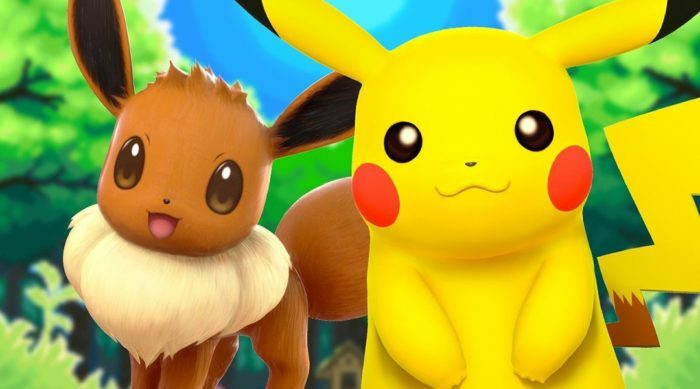 Ultimate was a barrage of Pokemon information for Pokemon Let’s Go Pikachu, Pokemon Let’s Go Eevee, and several Pokemon characters in Smash Ultimate. Nintendo began the news early into the direct with the announcement of the mythical Mew coming with every purchase of the Pokeball Plus, a legendary gift considering Mew’s harsh capture rate in the games. This peripheral to the Let’s Go games allows players to throw and catch those pocket monsters with a single easy motion. Players will also be able to play through the game using just the Pokeball Plus while also being able to take their favorite monsters on the go. In terms of Smash content, Nintendo announced many returning Poke faces along with one surprise return. The Trainer will return as a playable character in with Charizard, Blastoise, and Venusaur as interchangeable fighters. The female Trainer, Leaf will playable as a counterpart to Red with a set of the same re-skinned fighters. Along with that, iconic characters such as Mewtwo, Pichu, Pikachu, and Jigglypuff will all make appearances while newer faces like Greninja and Lucario are also returning. The female Pikachu Libre will also make an appearance as a surprise fighter. Bewear and Solgaleo have also been confirmed and can be released from Pokeballs. Based on the fact that Nintendo will bring back every character from past games, past stages can be assumed to be making a return to the new game, as well. A remake of the Saffron city stage from may make a return, along with the Kanto Stadium and Poke Floats from Melee. Pokemon Stadium 2 and Spear Tower from Brawl may also make appearances. The most recent stages, Prism Tower and the Unova League stages from Smash on the Wii U and 3DS, may also see a resurgence. With both games coming out later this year, players are sure to be clambering for any additional details that Nintendo is willing to throw out. We’ll be sure to write up any news we might hear on this beloved franchise.